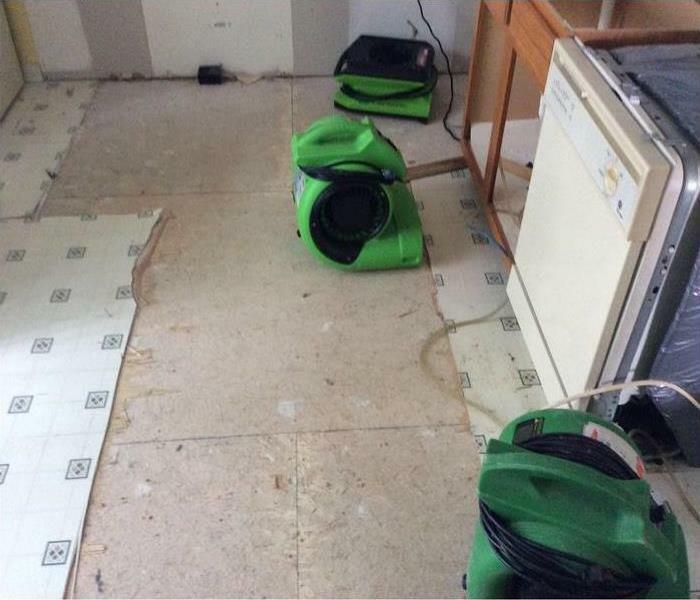 When your kitchen floods and your not sure where to turn, SERVPRO is the place to call. We can have a team out to your house as soon as possible to help re mediate the issue. 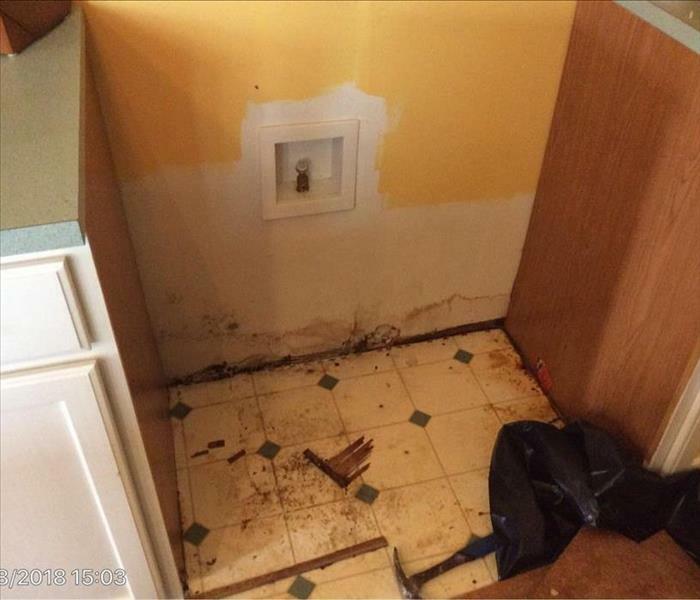 Here you can see a kitchen that has been majorly affected from water, all kitchen cabinets have been removed as well as the flooring in order to get it dry. 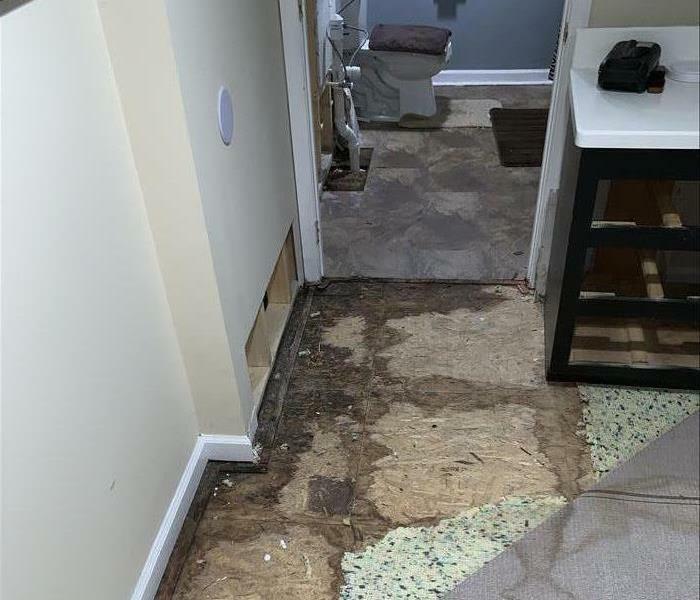 Here you can see SERVPRO of Dover / Middletown was called out to a residential home, due to a flooded kitchen in which all of the flooring was negatively affected and needed to be removed to the sub floor in order to be treated correctly, as well as dried. Why SERVPRO? Because sometimes you're not sure where to turn, and we can help more than you think. 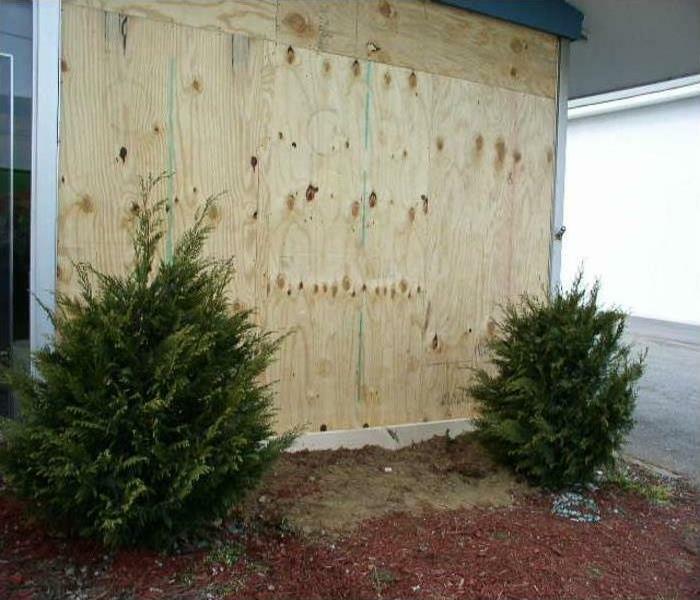 We were called out to a local company to board up their main display window as it was shattered and broken. We were able to have the work completed in no time, that way the company could get a custom piece of glass cut and installed asap. 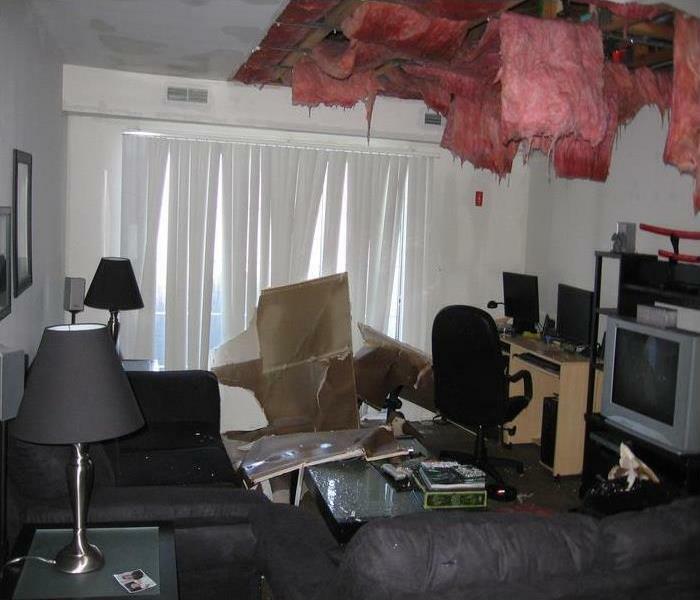 From the photo you can see here that a condo had a pipe burst in between the floors, which ruined the ceiling, and had the insulation coming out as well. SERVPRO was called out to asses and treat the issue. Here you can see a Hurricane victim, from the last severe hurricane storm that hit North Carolina. 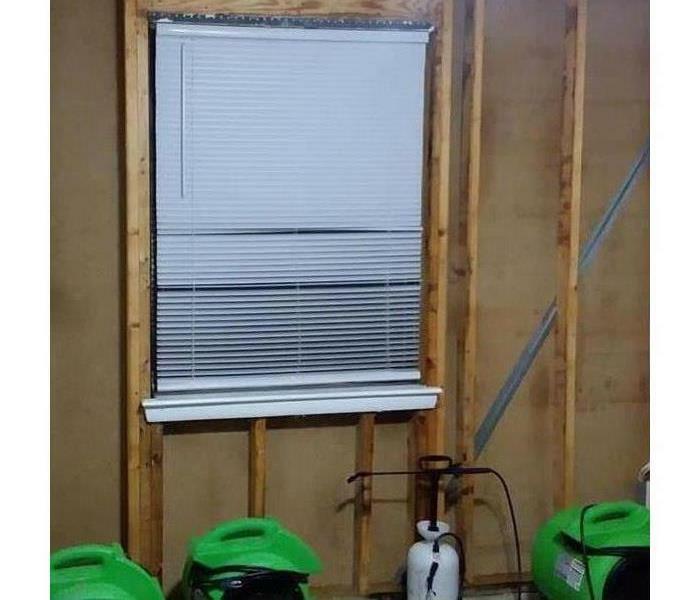 The storm was so severe that it even affected homes like this one. Homes that were miles and miles away from the sea shore, yet with such heavy rains were still affected by the water accumulation. 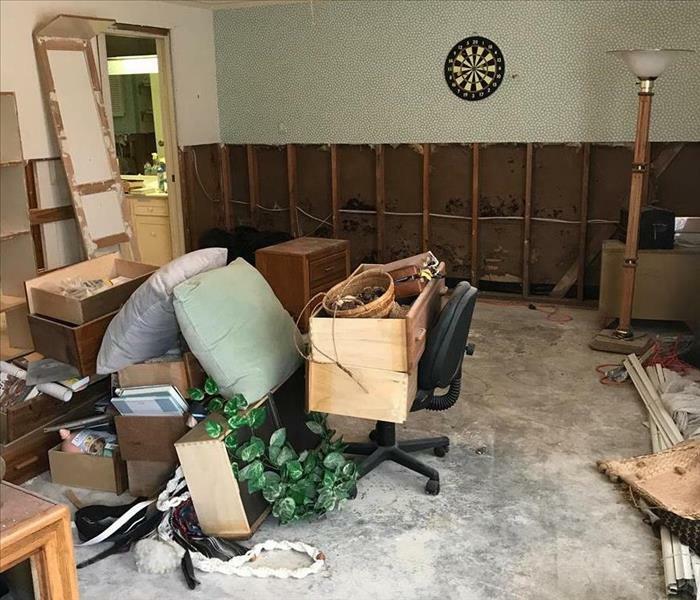 SERVPRO was able to help these home owners with extraction, drying, and removal of any and all debris that was affected. Here you can see a photo of a home located in North Carolina that was affected by the latest Hurricane that came through in the season. 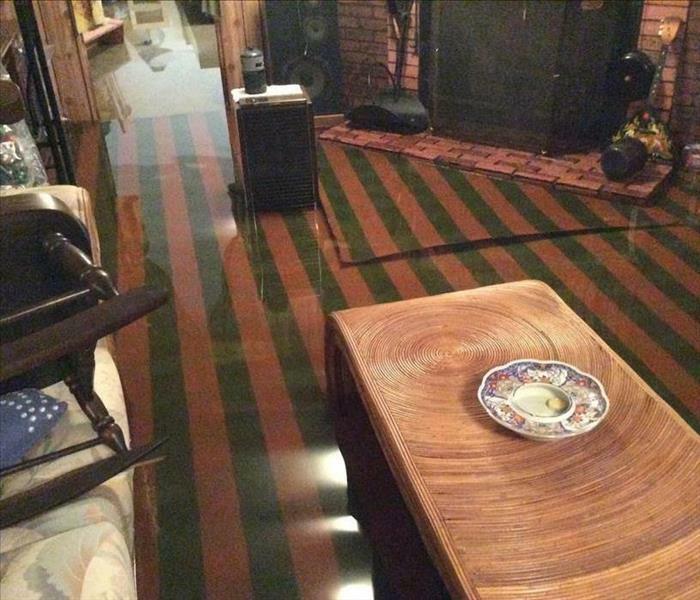 The water from the storm came into the low lying home through the front door. SERVPRO of Dover / Middletown was brought onto the scene to help resolve the issue. Leaking sinks can be a huge water issue for homeowners. 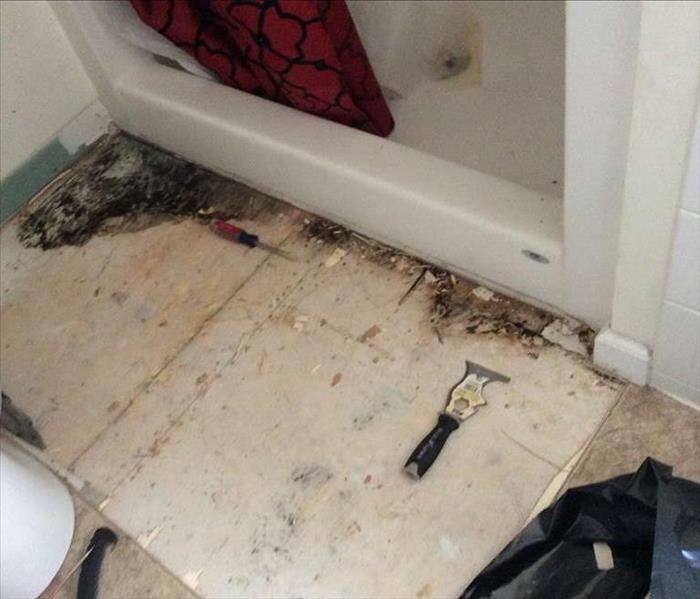 Here you can see a homeowner has had a continous leak under the sink of their home. That along with the perfect conditions of temperature along with wood, create a breading ground of growth. This is a situation where you would need to contact SERVPRO of Dover / Middletown to come out and take a look at the home and make a game plan to help remediate the issue. As you can see from these photos, there is growth underneath the carpet and padding. This is what can happen with slight damp conditions, and the right amount of heat. This gives the perfect conditions for growth to continue in a basement as you can see here. 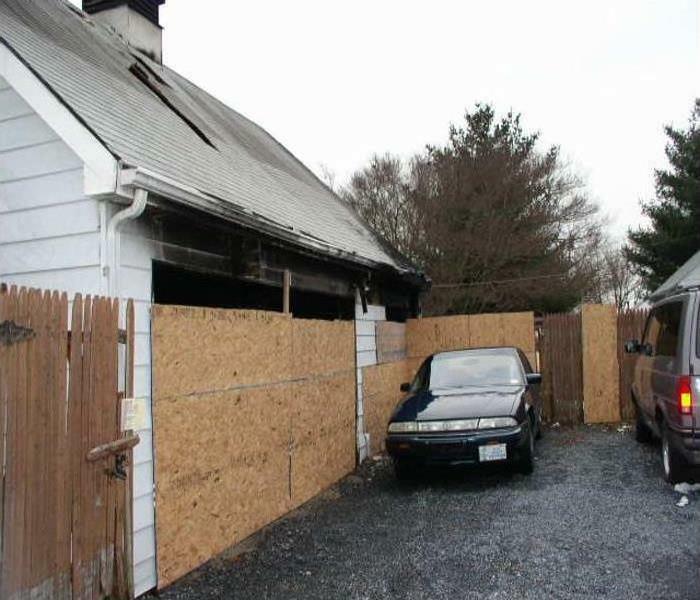 SERVPRO of Dover / Middletown was recently called out to a garage fire in our local area. We came on scene and were able to do a quick board up for the family, where we could determine if the insurance would be covering the fire or if it would have to be a out of pocket payment from the resident. 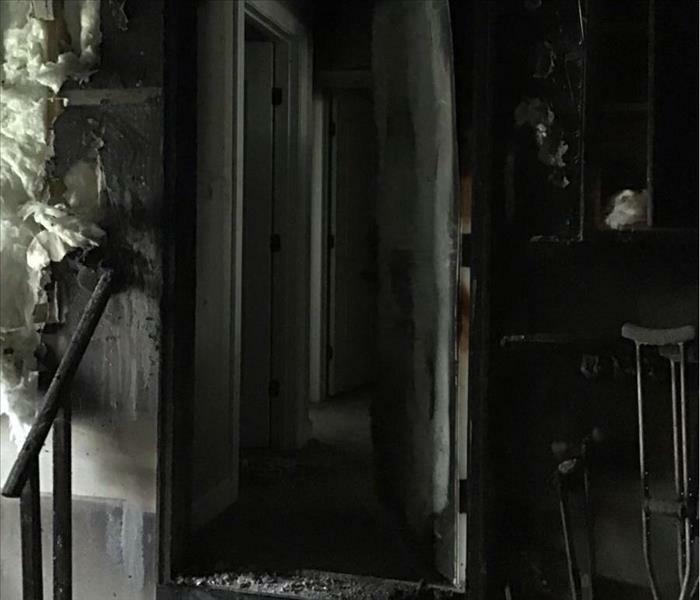 Here at SERVPRO of Dover / Middletown, we respond to a ton of fire damages. 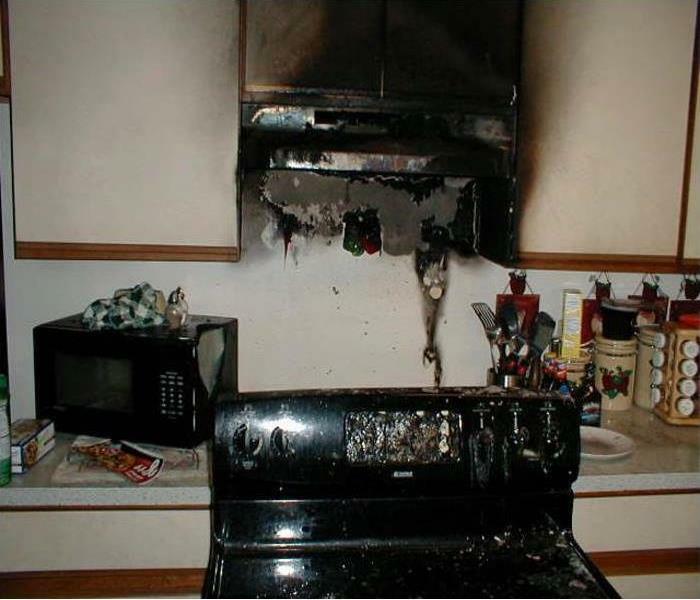 The number one spot fires tend to occur is in the kitchen. 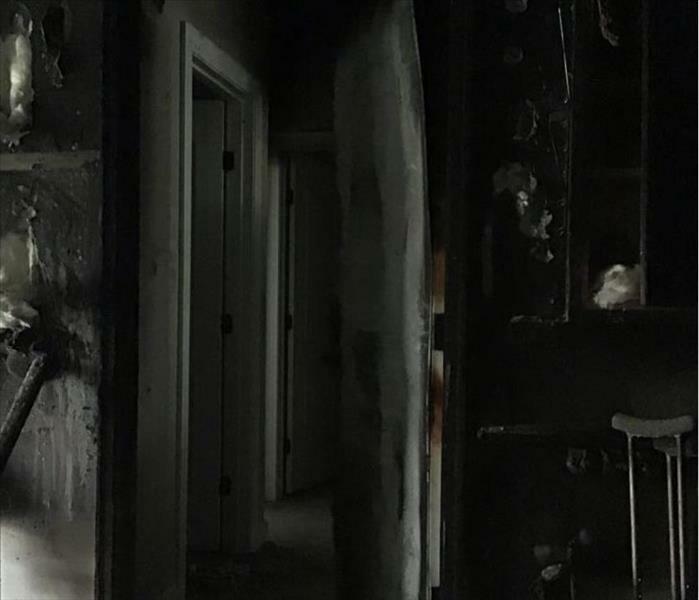 As you can see from this photo the homeowner was cooking, when the fire spread to the range above, then worked its way out to the cabinets. Luckily they were able to get the fire under control before it spread any further. Give us a call at SERVPRO today if you have any sort of fire or soot damage that you might need help with. 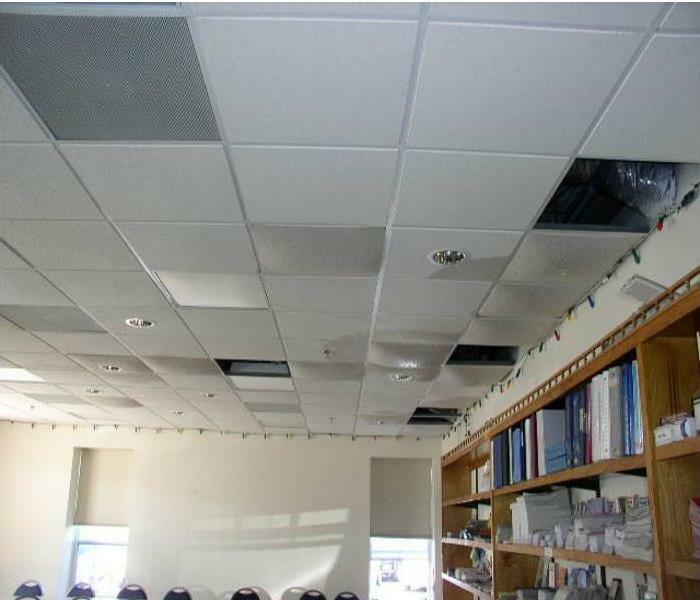 Here you can see a photo of a local business that had contacted SERVPRO of Dover/Middletown to help them with a pipe that had burst in between the second floor and the drop tile ceiling on the first floor. Upon our arrival we were able see just how far the leak had spread, and were able to determine exactly what work would need to be done, in order to have it "Like it never even happened." 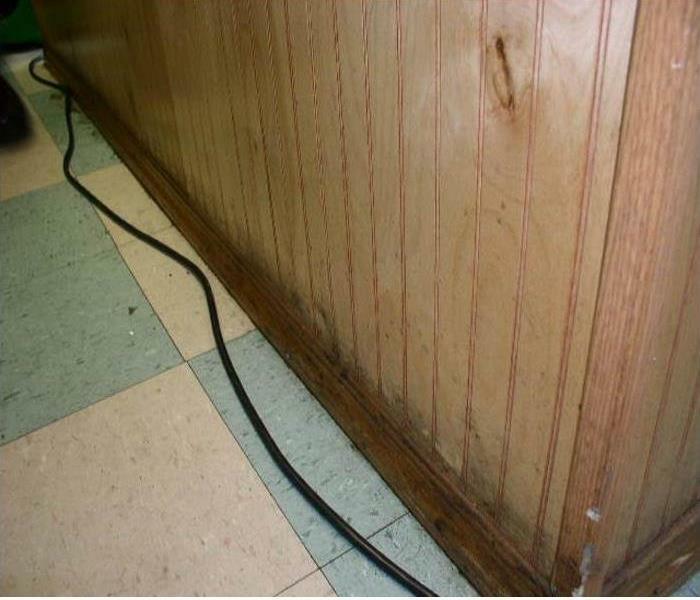 Here you can see growth that has accumulated at a local business who deals with dry cleaning. We were called out to come take a look, and assist with the remediation of the issue. 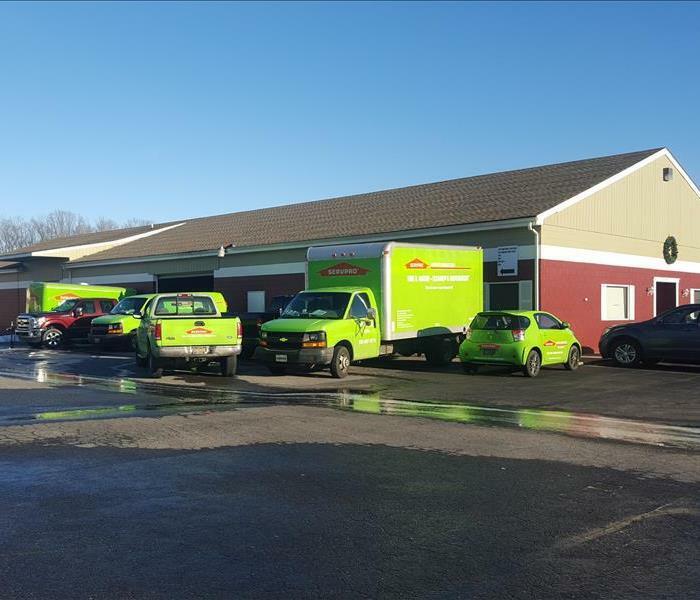 SERVPRO of Dover / Middletown is the industry leader when it comes to mold remediation. Here you can see a residential home that we were called out to due to growth around the bottom of the walls. SERVPRO of Dover/Middletown is the leader in mold remediation, and we are here to make you comfortable and happy in your own home. With our team on site taking care of the issues, you can rest assured knowing you are in great hands. Call SERVPRO of Dover/Middletown with any and all needs concerning Mold or potential Growth. Where is the perfect spot for growth? Wherever there is water, and the perfect temperatures. 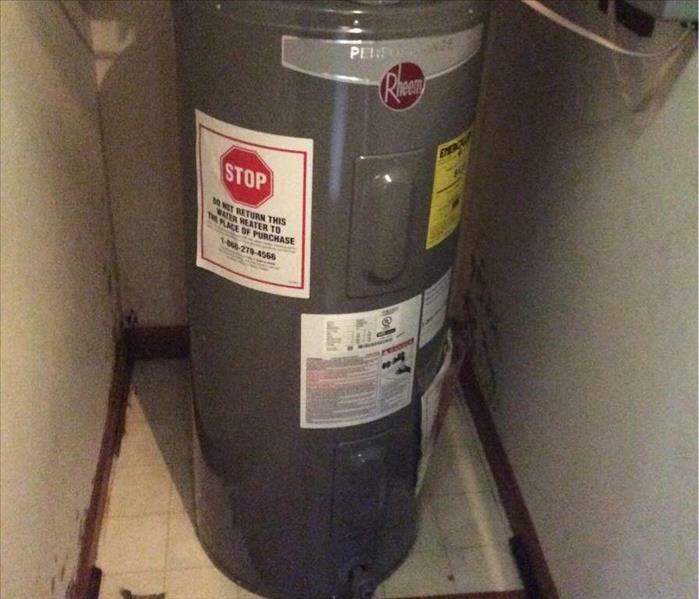 One spot that fits this to a tee is your hot water heater room. From time to time, you may want to check these areas and make sure they are dry and don't have any sorts of growth. 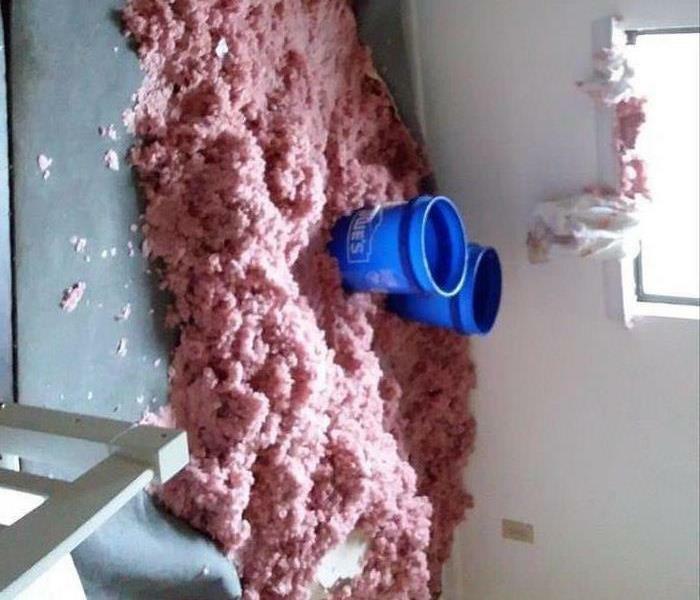 If you see anything out of the ordinary give us a call at SERVPRO of Dover/Middletown and we can come take a look. Growth likes to hide where you cant see it, dark damp places with the perfect temperatures create a breeding ground for all different types of mold. Make sure to look often in your unused areas in your home to make sure you don't see anything that looks like what you see in these photos. 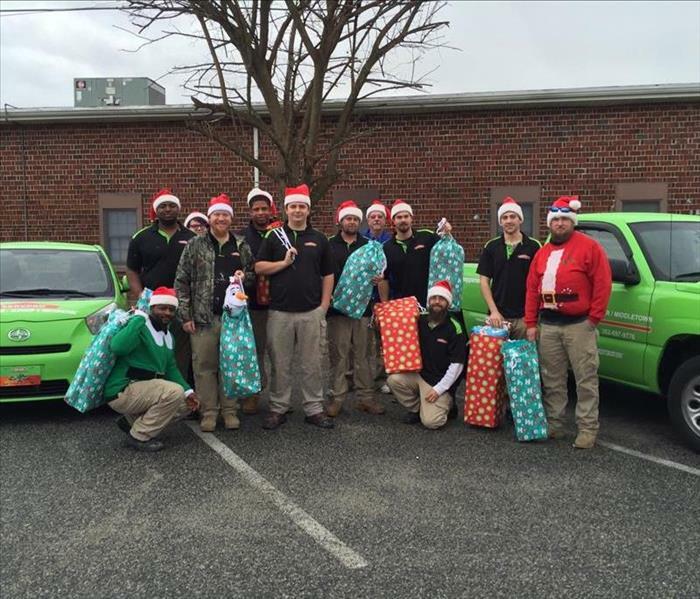 If you have any questions or concerns give us a call at SERVPRO of Dover/Middletown. Interior leaks, not sure from where? Why SERVPRO? Well as you can see from this photo some bad flashing has caused this home to slowly leak to the inside of the home, which left the homeowner wondering where this water was coming from as it started to come through the ceiling. SERVPRO can be on premises and help remediate the issues at hand and leave your home looking "Like it never even happened." While your sink slowly weeps! Why SERVPRO? Well if you open your cabinets under the sink and realize that its been leaking for months, well that's what we are here for! 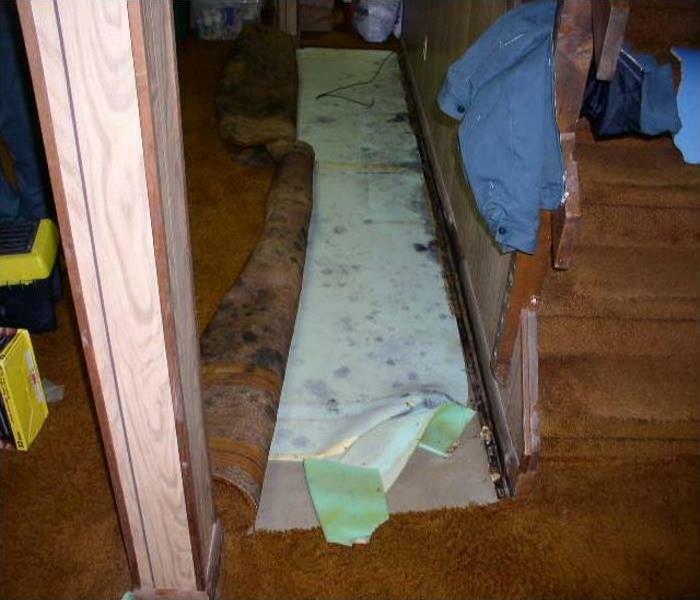 Here you can see a residential home that has a small continuous leak underneath the counters that the homeowner did not notice for quite some time. This slow leak can cause thousands of dollars of damage due to water. In the right time of years with the perfect temperatures and the dark unlit area this is the prime location for growth as well. You can see here in the photo that we had to come in remove all the counters and floor to this home, as well as any infected insulation under the floor. Remember a slow leak can cost you a lot more than you think, so once and a while take a small peep under your sink and make sure your not letting a small job become a big job. Come home and have new pool in your living room? Why SERVPRO? Well when you come home from a long weekend away and see that your living room looks more like a swimming pool, who do you want to come help? A fly by night company who just happens to own a old van and outdated equipment and 0 knowledge on mitigation services, or the industry leader in water services? A company you can count on to do the job right the first time around, a company with a highly trained crew and the equipment to get the job finished ASAP, so you can get back to enjoying your space the way it was intended. Why SERVPRO? 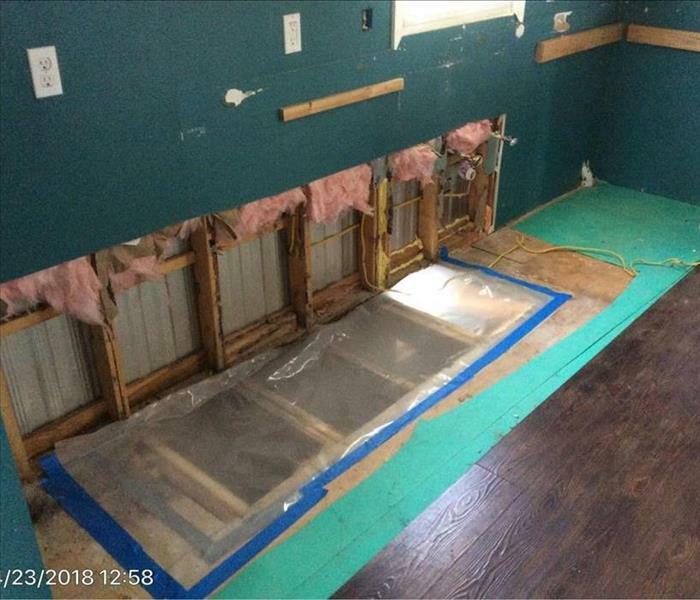 Well here is just one reason: Here you can see a home that SERVPRO of Dover/Middletown was called out to in order to complete a packout for the homeowner. SERVPRO showed up on site with a trailer and packed each and every item away safely with bubble wrap into individual cardboard boxes that are all numbered and a detailed inventory is kept of every single item, once a packout is completed we transfer all items to a storage unit for safekeeping for the homeowners. 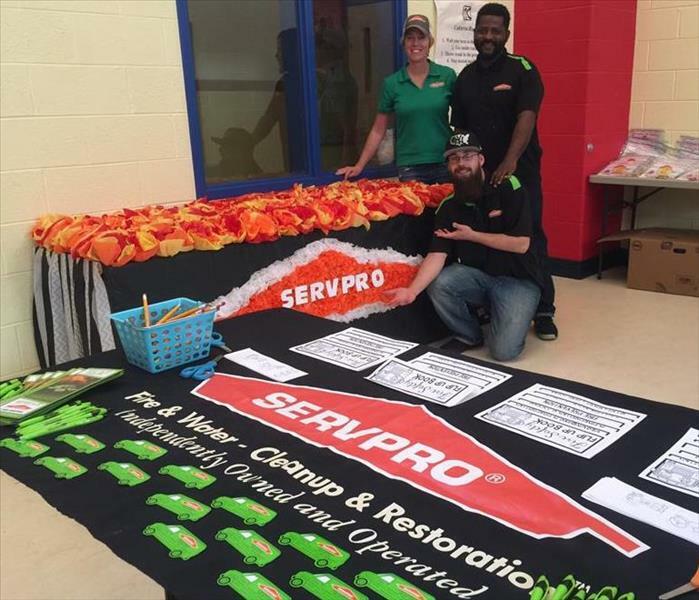 If you are in need of a packout give us a call at SERVPRO of Dover/Middletown and we can be out to help you asap! SERVPRO of Dover/Middletown was called out to a local residence recently for a very large growth situation. 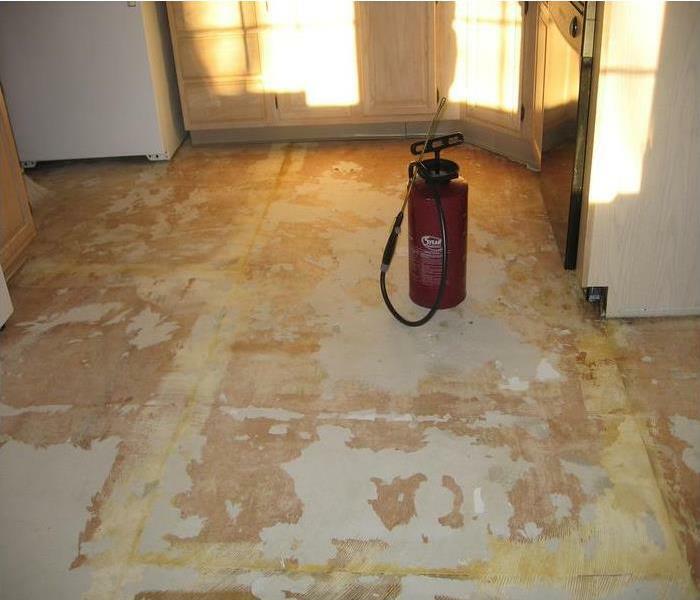 We were able to accurately asses the situation and provide the best remediation services necessary in order to complete the job effectively. 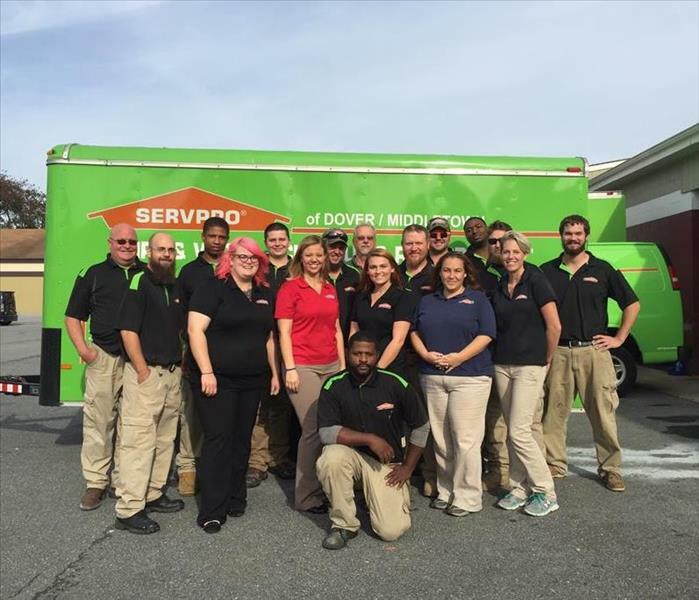 If you are searching for the industry leader in Mold remediation services then look no further than SERVPRO Of Dover/Middletown. 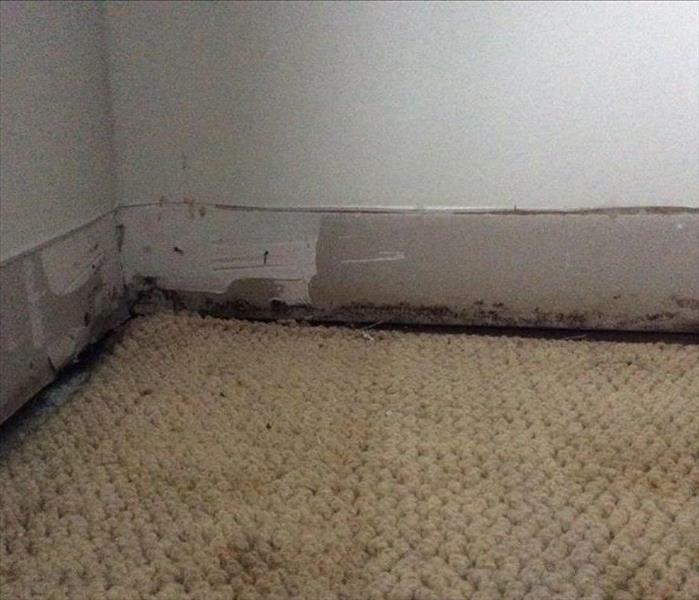 Here is a residential home in our area that was affected by a water damage, upon arrival and testing we realized that the carpet and padding was affected in the room as well as the drywall and insulation. We were able to fix the issues with the room by removing the carpet, extracting all the water, removing the drywall 2 feet up and removing the insulation, all while drying out the interior of the walls with air movers. 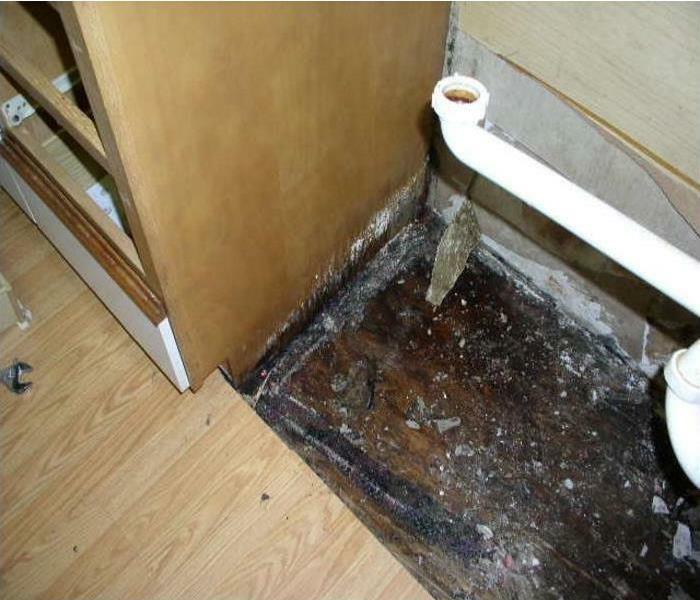 Here you can see a washing area in a residential home, that has had the Washing Machine removed. 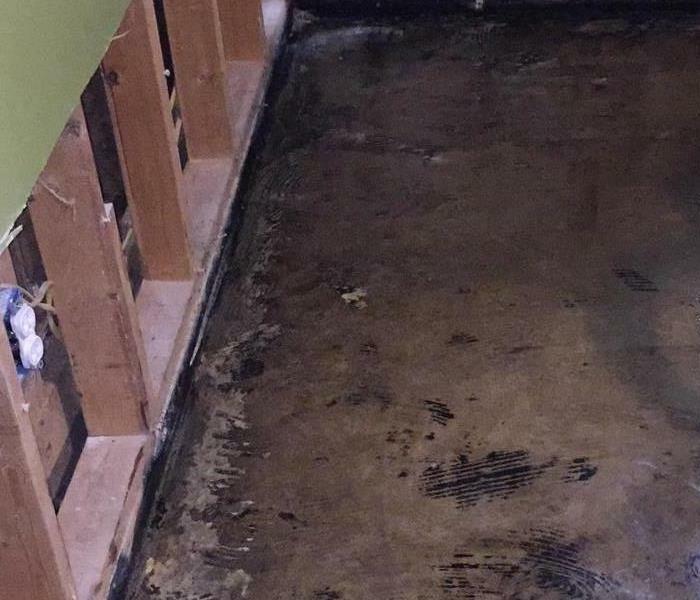 This home had a major water damage that not only affected the wash room, but also the level below the wash room as well. If ever in need of help with a overflowing washer feel free to give us a call at SERVPRO of Dover/Middletown. When fire happens, make sure you have someone on your side who can make things right the first time. Call SERVPRO of Dover/Middletown and we will have our crew on site and fixing the issues asap. Our crew is trained and has tons of hands on experience dealing with fire damages. Who do you want to trust with your most expensive investment, a fly by night restoration company, or a business that is licensed, bonded, and insured that has been in business since 1967? We know who we would call. Here you can see a local home in our area that was in a unfortunate fire. 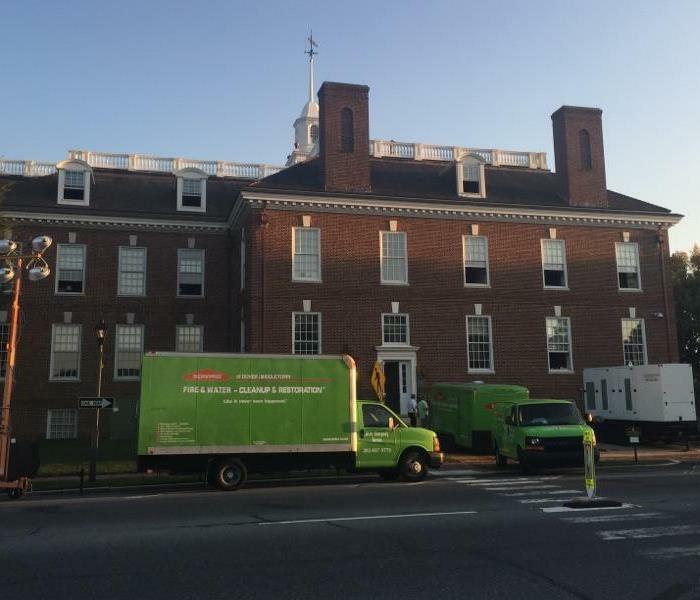 SERVPRO of Dover/Middletown was brought on site in order to get the job boarded up for safety and await orders for cleaning and restoration. When one of your biggest investments you will ever make has an issue such as fire/mold/water make sure to call the industry proven professionals at SERVPRO of Dover/Middletown first. 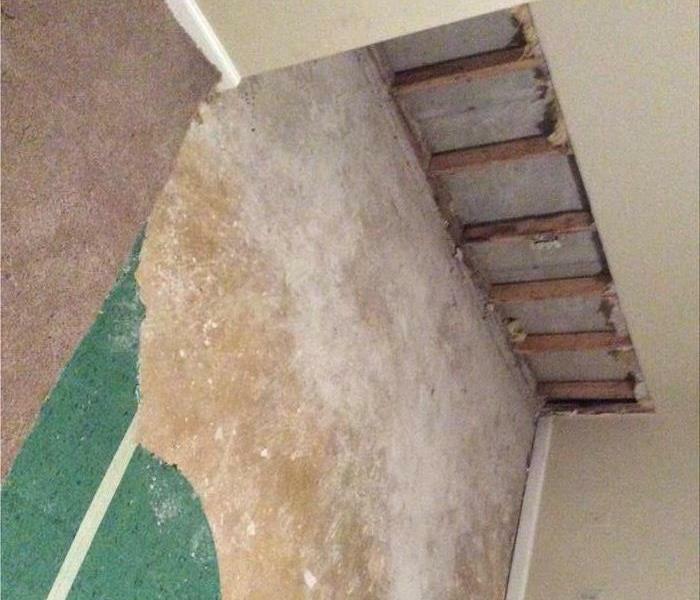 Here we show a residential home that has had the baseboard removed and drywall removed two feet up in order to dry the interior. 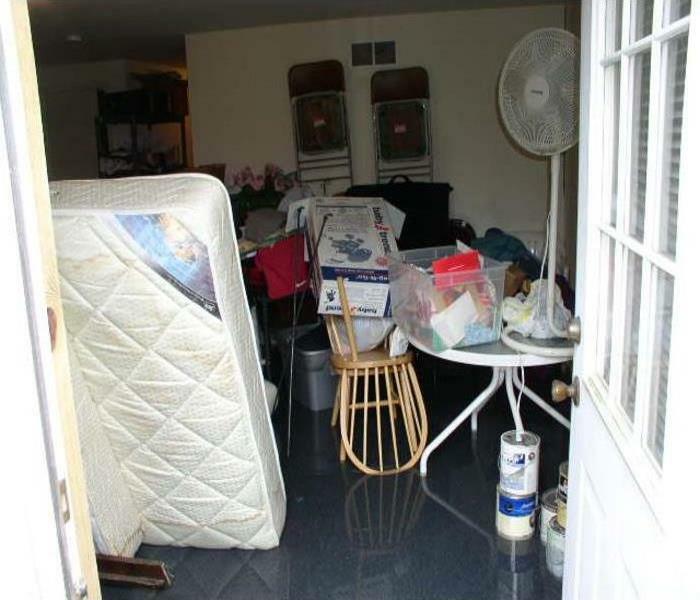 We have also removed the flooring in the home as it was damaged from he water. Storm Drywall and Insulation removal. Upon arriving at one of our jobs for storm in North Carolina we used specialized equipment in order to determine that the walls and insulation all needed to be pulled and the exterior walls dried from the inside, here you can see a few of our air movers on the wall as we have already removed the insulation and interior walls. Uppon arrival in North Carolina for storm, we knew we had our hands full, but that didn’t stop our team from doing to The best job that was possible. Here you can see where storm water had affected the walls and insulation of a residential home. 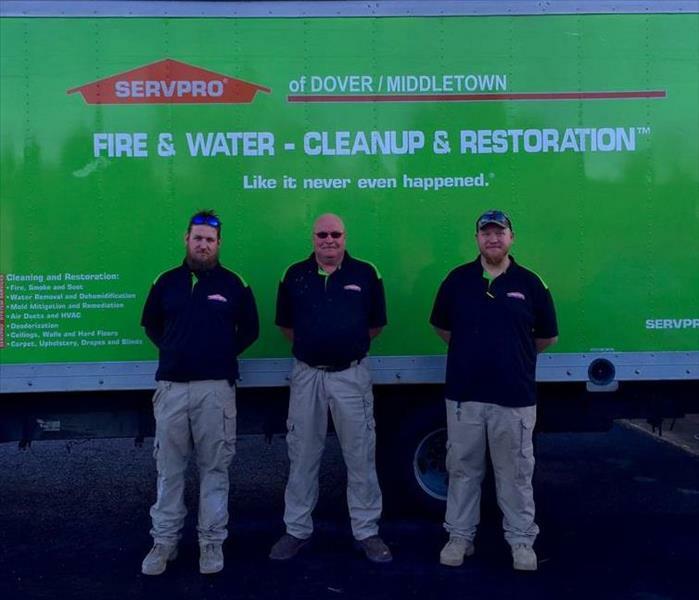 SERVPRO of Dover/Middletown is the Restoration and Mitigation Specialist in our area, and our customers know who to call first in order to get the job done right the first time. 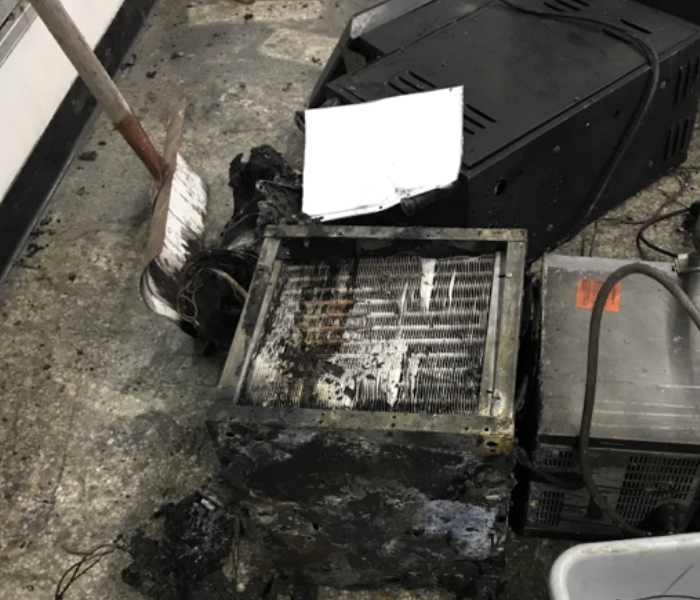 We received a call for a small electrical fire, and had our crew on site and cleaning in no time. 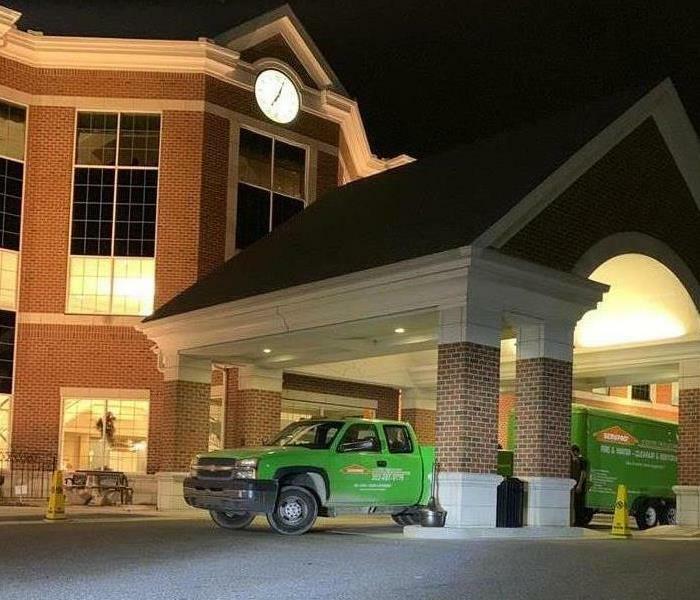 SERVPRO of Dover/Middletown on the scene in Dover, for a commercial Water Damage Job. This job came in after hours but we had a team of 4 people out on site and finished within 2 hours. This is the kind of hard work and desicatjon we love to see. 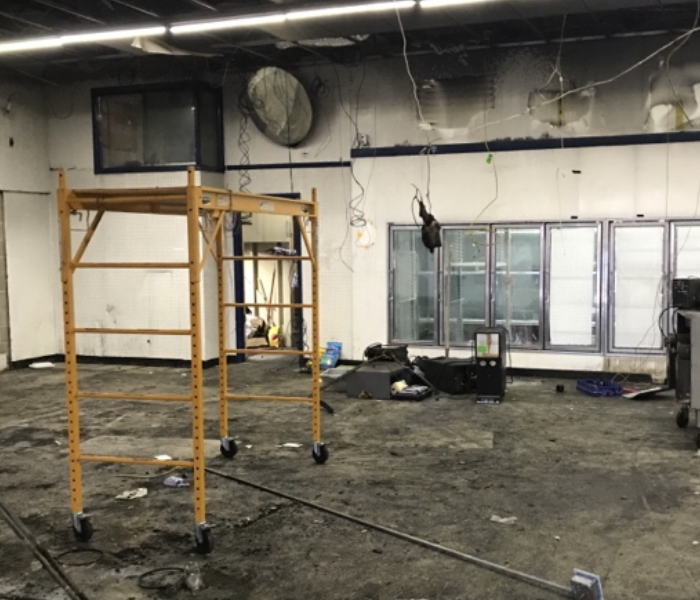 SERVPRO of Dover/Middletown received a call about a large commercial fire damage that needed a cleaning. We arrived on scene as soon as we were allowed and got the work going. We had a team of 3-4 people on site for around a week completing the cleaning. We were extremely satisfied with the results once complete. The fire had started from a bad electrical connection in a Slushie machine. 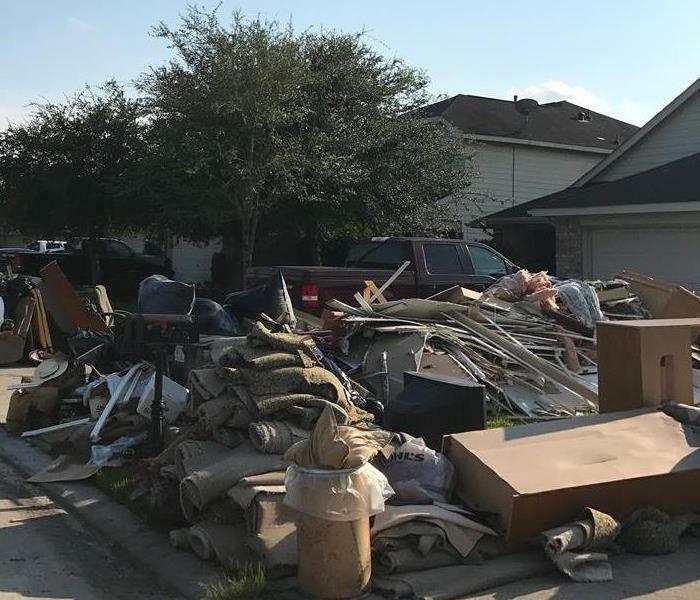 Storm damage is no joke, as you can see from this photo of all of this tear out from a local home in League City Texas. Our crew here in Dover Delaware made the trek half way across the country to help local families with the disaster that struck their neighborhoods. 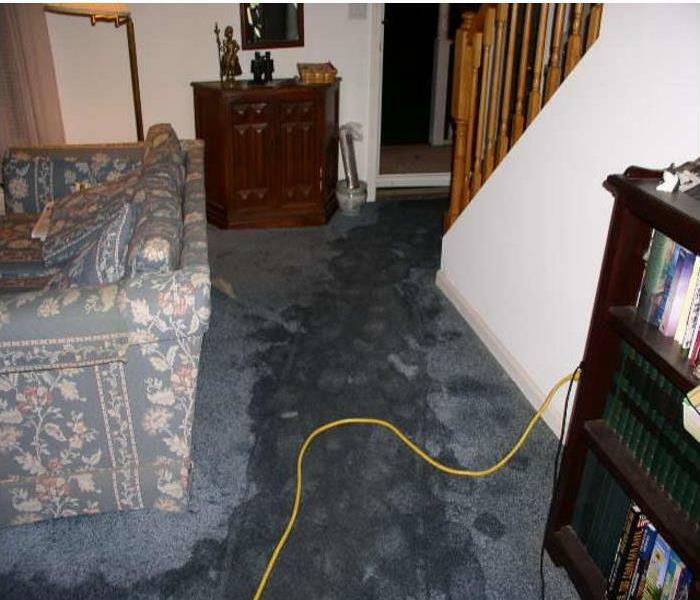 As you can see from the photos the water damage here at one of Storm homes in Texas wasn't exactly a small one. The storm team did a great job here in Patland! We love to give back to our community especially around Christmas time. 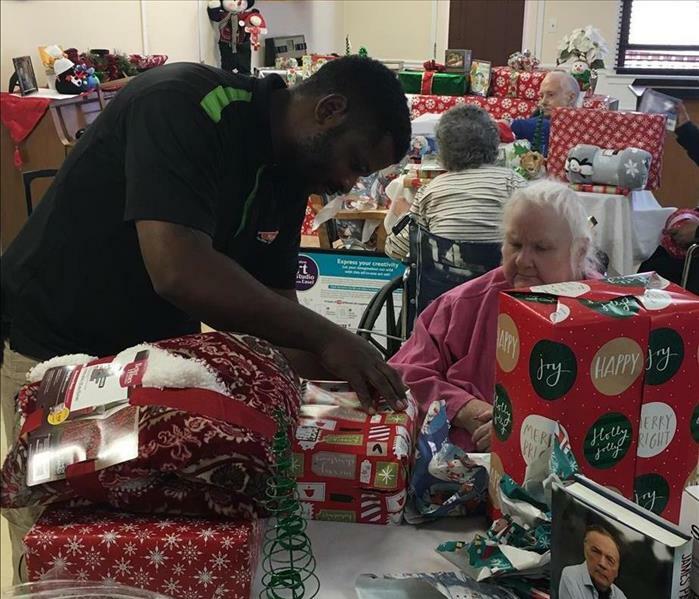 Spreading a little love to our elderly community. It was an amazing experience for all involved! We can’t wait to do it again! Here at SERVPRO of Dover Middletown we are honored to work beside these Veterans of the U.S. Military. We just want to thank them for their service they have provided to this great country we all call home! This fire was started from the trash compactor. The entire building was affected by smoke. 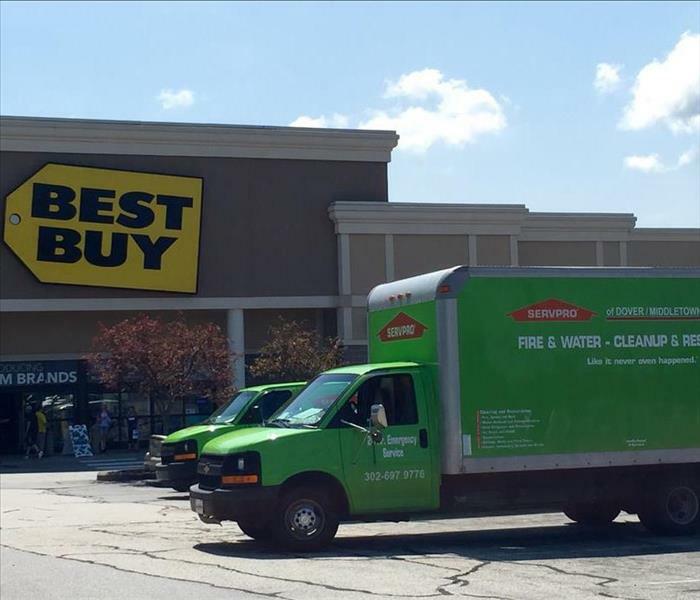 We cleaned the Best Buy in Wilmington, DE in 4 days! No job is too big or too small. After cleaning all of the merchandise we covered everything with plastic to keep it clean from all the overhead work (duct cleaning and rafter cleaning). It was hard work but we always go above and beyond to make sure the job is done right the first time around! We broke up in teams of 2 and each picked a senior citizen in a nursing home. The Delaware Dept. of Health and Safety was a great organization to work with! It was a lot of fun and rewarding to give back to our community! With a lot of teamwork we build a crawl low under smoke box for the kids at one of our local Kindergartens. Such a fun event! They were not kidding when they said rain or shine! Even with the freezing rain we had a great time!!! We had such a fun time walking in the Dover Days Parade. We have such a great city! !